^ Jenny Teichmann and Katherine C. Evans, Philosophy: A Beginner's Guide（Blackwell Publishing, 1999）, p. 1: "哲学研究那些终极、抽象和非常基本的问题。这些问题聚焦在存在、知识、道德、理性和人生的意义。"
^ 哲學的定義為：「1.智慧或知識的源頭、熱愛，或對此之追尋；2.對行為、思考、知識與宇宙的本質等原則、理論或邏輯的分析。」 Webster's新世界字典 Second College. ^ 高野繁男. 『哲学字彙』の和製漢語―その語基の生成法・造語法 (PDF). 人文学研究所報. 2004. ^ Cua, Anthony S. "Emergence of the history of Chinese philosophy", Comparative Approaches to Chinese Philosophy. ^ Blackburn, Simon. 牛津哲学词典. 牛津: 牛津大学出版社. 1994. ^ 中国大百科全书条目：哲学研究对象章节. 北京: 中国大百科全书出版社. 2009年3月. ISBN 978-7-5000-7958-3. ^ Undergraduate Program | Department of Philosophy | NYU. 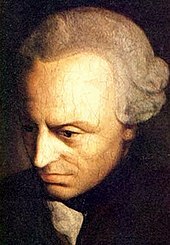 Philosophy.fas.nyu.edu. [2014-05-03]. ^ Aesthetics- definition. Merriam-Webster Dictionary. [2014-05-03]. ^ Ebrey, Patricia. 剑桥插图中国史. 劍橋大學出版社. 2010: 42. ^ 22.0 22.1 西塞罗, 图斯库卢姆辩论（英语：Tusculan Disputations）, 5.3.8–9 = 赫拉克利德斯·彭提烏斯（英语：Heraclides Ponticus） fr. 88 Wehrli, 第欧根尼·拉尔修1.12, 8.8, 楊布里科斯VP 58. Burkert attempted to discredit this ancient tradition, but it has been defended by C.J. De Vogel, Pythagoras and Early Pythagoreanism（1966）, pp. 97–102, and C. Riedweg, Pythagoras: His Life, Teaching, And Influence（2005）, p. 92. ^ Chapter XXII, ECCLESIASTICAL POLICY, § 3. The Suppression of Paganism. 芝加哥大学. ^ 弗雷德里克·科普勒斯顿（英语：Frederick Copleston）, A History of Philosophy, Volume III: From Ockham to Suarez（The Newman Press, 1953）p. 18: "When one looks at Renaissance philosophy ... one is faced at first sight with a rather bewildering assortment of philosophies." ^ Brian Copenhaver and Charles Schmitt, Renaissance Philosophy（牛津大学出版社, 1992）, p. 4: "one may identify the hallmark of Renaissance philosophy as an accelerated and enlarged interest, stimulated by newly available texts, in primary sources of Greek and Roman thought that were previously unknown or partially known or little read." ^ Jorge J.E. Gracia in Nicholas Bunnin and E.P. 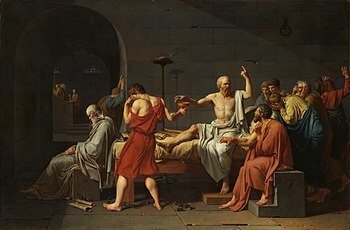 Tsui-James（eds.）, The Blackwell Companion to Philosophy, 2nd ed.（Blackwell, 2002）, p. 621: "the humanists ... restored man to the centre of attention and channeled their efforts to the recovery and transmission of classical learning, particularly in the philosophy of Plato." ^ Copleston, ibid. : "The bulk of Renaissance thinkers, scholars and scientists were, of course, Christians ... but none the less the classical revival ... helped to bring to the fore a conception of autonomous man or an idea of the development of the human personality, which, though generally Christian, was more 'naturalistic' and less ascetic than the mediaeval conception." ^ Charles B. Schmitt and Quentin Skinner（eds.）, The Cambridge History of Renaissance Philosophy, pp. 61 and 63: "From Petrarch the early humanists learnt their conviction that the revival of humanae literae was only the first step in a greater intellectual renewal" [...] "the very conception of philosophy was changing because its chief object was now man—man was at centre of every inquiry". ^ 34.0 34.1 Cassirer; Kristeller; Randall (编). Introduction. The Renaissance Philosophy of Man. 芝加哥大学出版社. 1948. ^ Copenhaver and Schmitt, Renaissance Philosophy, pp. 285–328. ^ Richard Popkin, The History of Scepticism from Savonarola to Bayle（牛津大学出版社, 2003）. ^ Kenny,A New History of Western Philosophy, vol. 3（牛津大学出版社, 2006）, p. 8: "The Lutheran Reformation [...] gave new impetus to the sceptical trend." ^ "Machiavelli appears as the first modern political thinker" Williams, Garrath. Hobbes: Moral and Political Philosophy. Internet Encyclopedia of Philosophy. . "Machiavelli ought not really to be classified as either purely an "ancient" or a "modern," but instead deserves to be located in the interstices between the two." Nederman, Cary. Niccolò Machiavelli. Stanford Encyclopedia of Philosophy. ^ Copenhaver and Schmitt, Renaissance Philosophy, pp. 274–284. ^ Schmitt and Skinner, The Cambridge History of Renaissance Philosophy, pp. 430–452. ^ Blocker, H. Gene; Starling, Christopher L. Japanese Philosophy. 纽约州立大学出版社. 2001: 64. ^ 44.0 44.1 Huang 1999，第5页. ^ 45.0 45.1 陈荣捷 1963，第460页. ^ Donald Rutherford, The Cambridge Companion to Early Modern Philosophy（Cambridge University Press, 2006）, p. xiii, defines its subject thus: "what has come to be known as "early modern philosophy"—roughly, philosophy spanning the period between the end of the sixteenth century and the end of the eighteenth century, or, in terms of figures, Montaigne through Kant." Steven Nadler, A Companion to Early Modern Philosophy（Blackwell, 2002）, p. 1, likewise identifies its subject as "the seventeenth and eighteenth centuries". Anthony Kenny, The Oxford History of Western Philosophy（Clarendon: Oxford University Press, 1994）, p. 107, introduces "early modern philosophy" as "the writings of the classical philosophers of the seventeenth and eighteenth centuries in Europe". ^ Steven Nadler, A Companion to Early Modern Philosophy, pp. 1–2: "By the seventeenth century [...] it had become more common to find original philosophical minds working outside the strictures of the university—i.e., ecclesiastic—framework. [...] by the end of the eighteenth century, [philosophy] was a secular enterprise." ^ 安东尼·肯尼（英语：Anthony Kenny）, A New History of Western Philosophy, vol. 3（Oxford University Press, 2006）, p. xii: "To someone approaching the early modern period of philosophy from an ancient and medieval background the most striking feature of the age is the absence of Aristotle from the philosophic scene." ^ Donald Rutherford, The Cambridge Companion to Early Modern Philosophy（Cambridge University Press, 2006）, p. 1: "epistemology assumes a new significance in the early modern period as philosophers strive to define the conditions and limits of human knowledge." ^ Kenny, A New History of Western Philosophy, vol. 3, pp. 179–180: "the seventeenth century saw the gradual separation of the old discipline of natural philosophy into the science of physics [...] [b]y the nineteenth century physics was a fully mature empirical science, operating independently of philosophy." ^ Nadler, A Companion to Early Modern Philosophy, pp. 2–3: "Why should the early modern period in philosophy begin with Descartes and Bacon, for example, rather than with Erasmus and Montaigne? [...] Suffice it to say that at the beginning of the seventeenth century, and especially with Bacon and Descartes, certain questions and concerns come to the fore—a variety of issues that motivated the inquiries and debates that would characterize much philosophical thinking for the next two centuries." ^ Hobbes: Moral and Political Philosophy. Internet Encyclopedia of Philosophy. : "Hobbes is the founding father of modern political philosophy. Directly or indirectly, he has set the terms of debate about the fundamentals of political life right into our own times." ^ Contractarianismtitle=Stanford Encyclopedia of Philosophy. http://plato.stanford.edu/entries/contractarianism/. 缺少或|title=为空 (帮助): "Contractarianism [...] stems from the Hobbesian line of social contract thought"
^ Rutherford, The Cambridge Companion to Early Modern Philosophy, p. 1: "Most often this [period] has been associated with the achievements of a handful of great thinkers: the so-called 'rationalists'（Descartes, Spinoza, Leibniz）and 'empiricists'（Locke, Berkeley, Hume）, whose inquiries culminate in Kant's 'Critical philosophy.' These canonical figures have been celebrated for the depth and rigor of their treatments of perennial philosophical questions..."
^ Nadler, A Companion to Early Modern Philosophy, p. 2: "The study of early modern philosophy demands that we pay attention to a wide variety of questions and an expansive pantheon of thinkers: the traditional canonical figures（Descartes, Spinoza, Leibniz, Locke, Berkeley, and Hume）, to be sure, but also a large 'supporting cast'..."
^ Bruce Kuklick, "Seven Thinkers and How They Grew: Descartes, Spinoza, Leibniz; Locke, Berkeley, Hume; Kant" in Rorty, Schneewind, and Skinner（eds.）, Philosophy in History（Cambridge University Press, 1984）, p. 125: "Literary, philosophical, and historical studies often rely on a notion of what is canonical. 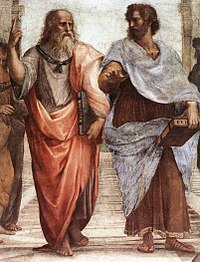 In American philosophy scholars go from Jonathan Edwards to John Dewey; in American literature from James Fenimore Cooper to F. Scott Fitzgerald; in political theory from Plato to Hobbes and Locke [...] The texts or authors who fill in the blanks from A to Z in these, and other intellectual traditions, constitute the canon, and there is an accompanying narrative that links text to text or author to author, a 'history of' American literature, economic thought, and so on. The most conventional of such histories are embodied in university courses and the textbooks that accompany them. This essay examines one such course, the History of Modern Philosophy, and the texts that helped to create it. If a philosopher in the United States were asked why the seven people in my title comprise Modern Philosophy, the initial response would be: they were the best, and there are historical and philosophical connections among them." ^ Rutherford, The Cambridge Companion to Early Modern Philosophy, p. 1. ^ 伊曼努尔·康德. 纯粹理性批判. Prometheus Books. 1990. ISBN 978-0-87975-596-6. ^ 63.0 63.1 63.2 中国大百科全书总编委. 哲学. 中国大百科全书. 中国大百科全书出版社. 2009年3月: 153. ISBN 978-7-5000-7958-3. ^ 64.0 64.1 64.2 卡尔·马克思. Misère de la philosophie. Réponse à la philosophie de la misère de M.Proudhon哲学的贫困. 1847. ^ 约翰·麦奎利（英语：John Macquarrie）,存在主义, New York (1972), pages 18–21. ^ 约翰·麦奎利（英语：John Macquarrie）,存在主义, New York (1972), pages 14–15. ^ Matustik, Martin J. Kierkegaard in Post/Modernity. Indiana University Press. 1995. ISBN 978-0-253-20967-2. ^ Solomon, Robert. What Nietzsche Really Said. Schocken. 2001. ISBN 978-0-8052-1094-1. 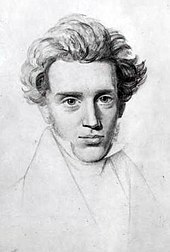 ^ Religious thinkers were among those influenced by Kierkegaard. Christian existentialists include Gabriel Marcel, Nicholas Berdyaev, Miguel de Unamuno, and Karl Jaspers（although he preferred to speak of his "philosophical faith"）. The Jewish philosophers Martin Buber and Lev Shestov have also been associated with existentialism. ^ 克尔凯郭尔. 恐惧与颤栗. Penguin Classics. 1986. ISBN 978-0-14-044449-0. ^ 克尔凯郭尔. 非科学的附启. 普林斯顿大学出版社. 1992. ISBN 978-0-691-02081-5. 大美百科全书. 台北: 光复书局股份公司. 1992年6月. ISBN 9780717201037. 不列颠百科全书. 北京: 中国大百科全书出版社. 1999. ISBN 9781593392925. 中国大百科全书. 北京: 中国大百科全书出版社. 2009年3月. ISBN 978-7-5000-7958-3. Kim, J. and Ernest Sosa, Ed.（1999）. Metaphysics: An Anthology. Blackwell Philosophy Anthologies. Oxford, Blackwell Publishers Ltd.
陈荣捷. A Source Book in Chinese Philosophy. Princeton University Press. 1963. ISBN 0691019649. Huang, Siu-chi. Essentials of Neo-Confucianism: Eight Major Philosophers of the Song and Ming Periods. Greenwood Publishing Group. 1999. ISBN 031326449X. Encyclopedia of Philosophy（8 vols.）edited by Paul Edwards; in 1996, a ninth supplemental volume appeared that updated the classic 1967 encyclopedia. History of Italian Philosophy（2 vols.）by Eugenio Garin. Translated from Italian and Edited by Giorgio Pinton. Introduction by Leon Pompa. Ayer, A.J. et al., Ed.（1994）A Dictionary of Philosophical Quotations. Blackwell Reference Oxford. Oxford, Basil Blackwell Ltd.
Blackburn, S., Ed.（1996）The Oxford Dictionary of Philosophy. Oxford, Oxford University Press. Runes, D., Ed.（1942）. The Dictionary of Philosophy. New York, The Philosophical Library, Inc.
Angeles, P.A., Ed.（1992）. The Harper Collins Dictionary of Philosophy. New York, Harper Perennial. Bunnin, N. et al., Ed.（1996）The Blackwell Companion to Philosophy. Blackwell Companions to Philosophy. Oxford, Blackwell Publishers Ltd.
Hoffman, Eric, Ed.（1997）Guidebook for Publishing Philosophy. Charlottesville, Philosophy Documentation Center. Popkin, R.H.（1999）. The Columbia History of Western Philosophy. New York, Columbia University Press.